Note: I attended the fourth CWG-Internet meeting as a member of the Australian delegation; however, any of the views I express in this blog post are entirely my own. This post does not reflect the official Australian position, nor is its content endorsed in any way by the Australian government. This is the second part of a two-part report of the fourth CWG-Internet meeting, held 3-4 March 2014. The first part can be found here. 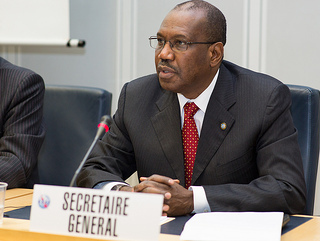 ITU Secretary General Touré was present at the start of the meeting. His presence sent a signal that this was going to be an important meeting, which of course, we found out to not be the case, but it nevertheless sent a message that this CWG was important to the ITU. Touré stated that the CWG-Internet was a very important component of the multistakeholder dialogue on Internet issues. He also noted that although Brazil’s draft opinion at WTPF-13 hadn’t reached consensus, it had begun a very important dialogue on the role of governments in Internet governance. He also referred to the responses by 37 Member States to the CWG-Internet’s questionnaire on the role of governments, saying not only would they inform discussions at the CWG-Internet, but would form an important repository of information for future dialogue on the issues they contained. He also noted the series of “Open Talks” he had conducted on Internet-related public policy issues. Importantly, Touré stated that ITU is part of an ecosystem of organizations dealing with Internet-related matters, and that the ITU works to add value where it can. It was encouraging to see some of the Member States compiled their responses by first conducting consultations with various Internet-related stakeholders within their national borders. A number of Member States reported having various forms of stakeholder consultation processes or advisory groups in place where government departments could solicit opinions and feedback on Internet-related public policy issues under consideration. 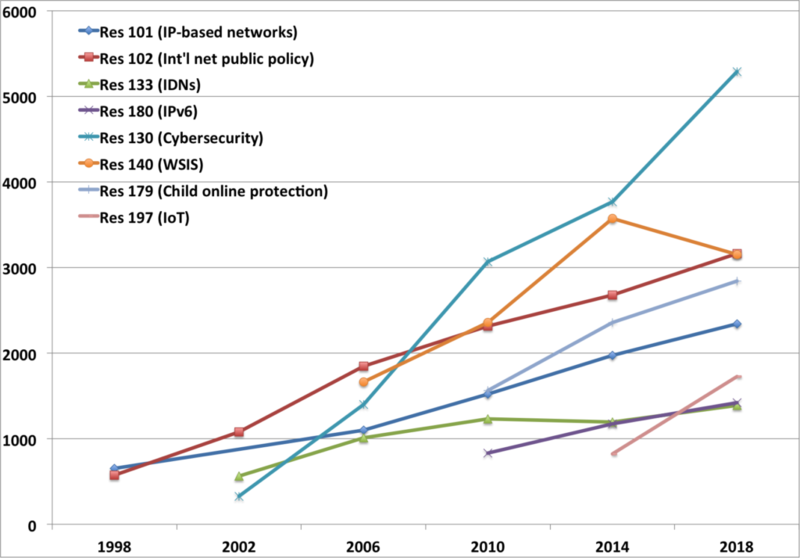 This helped governments create more effective national policy related to the Internet. A number of governments with such consultation processes noted that although the government ultimately made the decisions about national Internet-related public policy, being able to discuss issues with interested stakeholders gave all parties a better understanding of everyone’s positions and the reasons behind decisions, even if non-government stakeholders held views contrary to those that informed the final decisions. More than one Member State referred to the need for governments to develop public policy in coordination with other stakeholders to ensure that innovation on the Net remained unhindered. Member States agreed that the responses should be placed in a permanent online repository where each Member State could update its submission as circumstances changed. The CWG-Internet decided that the responses to that questionnaire were, like all CWG-Internet documents, limited to Member States only. A large number of States did very much want the responses to be public, saying that the contents would be very useful for everyone. For a little while, there seemed to be agreement to a proposal that all respondents would be contacted and told that their submissions would be made public on a certain date unless they specifically requested their submission be kept password-protected. This agreement fell apart, however, when one Member State suggested that States who might want to keep their submissions password-protected may feel pressured by other States to make them public. States who did not respond to pressure to publish might then be viewed by the wider public as having something to hide. The good news, though, is that this CWG-Internet meeting decided that the 37 respondents are free to resubmit their contributions as part of the public consultation process that began on 10 March 2014. All contributions to that public consultation are made public. Oh, and of course, there’s always WCITLeaks, which has already made all of the responses publically available. I was looking at WCITleaks’ links to the responses while the debate was happening in the room and wondered if I should point out to the pro-password crowd that their battle had been lost before the meeting had even begun. But the debate in the room wasn’t about the reality of whether the documents were available or not. It was about a clash of principles: open versus closed intergovernmental proceedings. While it may not at first be obvious to the casual reader, the “based on the contributions by Member States” text was inserted as a way of allowing the consultation to be quashed if Member States didn’t bother to contribute first (if governments don’t respond on the role of governments, then there would then be no need to hear what non-governments think about the role of governments). As it happened, with 37 responses by governments, the above argument clearly couldn’t be used to suppress the idea of a public consultation. Instead, creativity was needed. And the arguments of States not wanting to have a public consultation were indeed very creative. One State argued that because many Member States have already stated that they consulted with non-government stakeholders in composing their responses to the questionnaire, the CWG-Internet would learn nothing new by asking non-government stakeholders to submit their responses separately. Another State argued that there was no way that the same question could be used for non-government stakeholders as there was a risk that non-government stakeholders may contradict the answers governments had submitted as part of the closed governments-only questionnaire. And we can’t have differences in the views expressed by governments and their citizens, can we? So, what are the implications of the change of question? It has become a leading question. It suggests that there are things that governments should be doing that they aren’t. It doesn’t give non-government stakeholders a chance to document what governments are already doing. In essence, the question has been successfully reframed by those who believe that governments should have a greater role in Internet governance to produce exactly the sort of result that they want: a set of responses by non-government stakeholders listing areas where governments should be more active. Counterbalancing information, about what governments are already doing, and which may suggest that governments are already doing what’s needed, is excluded. By not including a question about current government activities, there is no way to gather information on government involvement in Internet-related public policy outside the 37 Member States who submitted their responses to the earlier governments-only questionnaire. There are 193 ITU Member States. 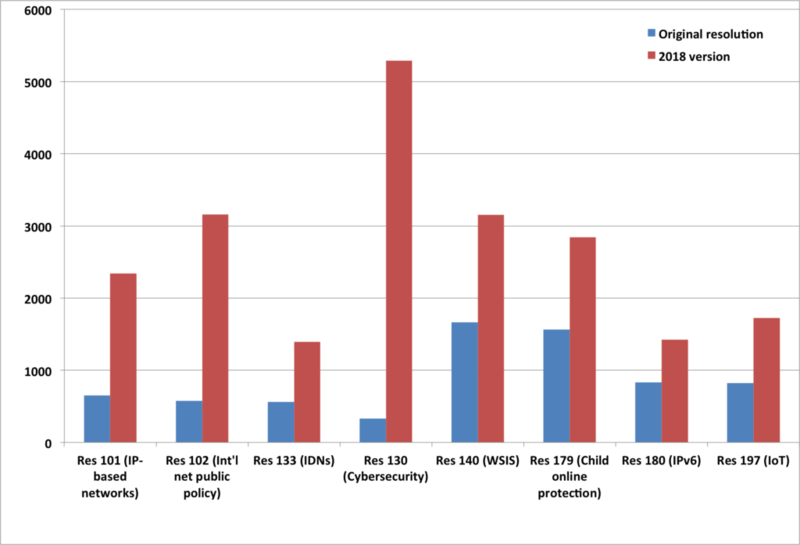 The CWG-Internet in practice has chosen to actively limit its knowledge about current government practices in Internet public policy to less than 20% of its membership. One set (from governments) will talk about what they’re doing now as well as what they think should be done in future. A second set (from non-government stakeholders) will only respond to the question about what governments should be doing in future. The public consultation is open until 26 April 2014. Note that to contextualize your response to the question about what actions governments should be undertaking in Internet-related issues, it is first important to establish what governments are already doing. Include as many examples as you can about what your national government (or a range of governments, given the public consultation doesn’t limit the question to your own national government) is already doing in relation to Internet-related public policy issues. Include examples of Internet public policy issues where governments are working with other stakeholders. The wider the variety of forms of stakeholder interaction with government are documented, the easier it will be for all stakeholders to learn from the experiences of alternative forms of inter-stakeholder interaction that have not yet been widely documented or publicized. The fact that Member States in the fourth CWG-Internet meeting were asking each other for more details on the forms of multistakeholder interaction they were using is proof that there is genuine interest-even amongst Member States not normally associated with embracing non-government stakeholder interaction-in learning how others develop their Internet-related policy. Encourage stakeholders in the 156 countries who didn’t submit responses to the governments-only questionnaire to submit responses that document current government activities in the Internet governance sphere. Ask your Member State to support your submission at the next CWG-Internet meeting so it doesn’t disappear beneath the waves like the first set of public consultation contributions did at the third CWG-Internet meeting. Your Member State delegate could achieve this by directly referring to your submission in their contribution to the CWG. Alternatively, your Member State could read out the most interesting parts of your submission to the CWG members and provide additional information on the issues discussed in your submission in response to questions by other Member States. 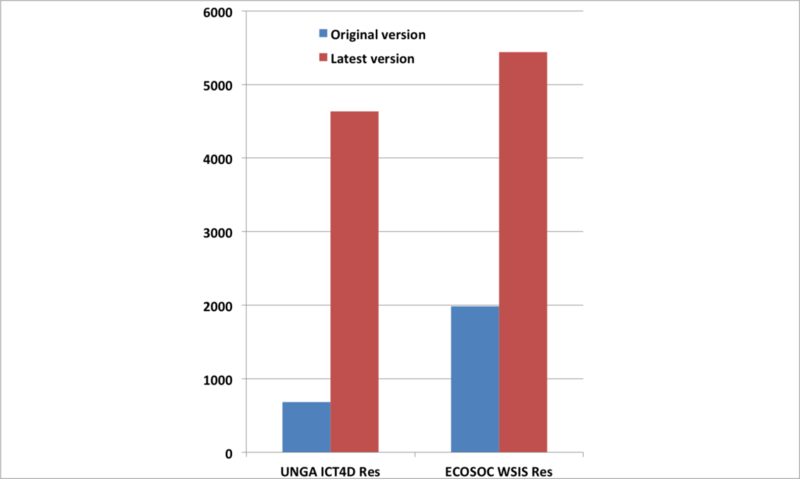 Anyone who followed the 2013 ITU Council debate on the possibility of opening CWG-Internet documents to non-Member States will remember that it was decided that as the creation of the CWG-Internet was a result of a Plenipotentiary resolution, only another Plenipotentiary resolution could make a decision on how open—or otherwise—the CWG should be. 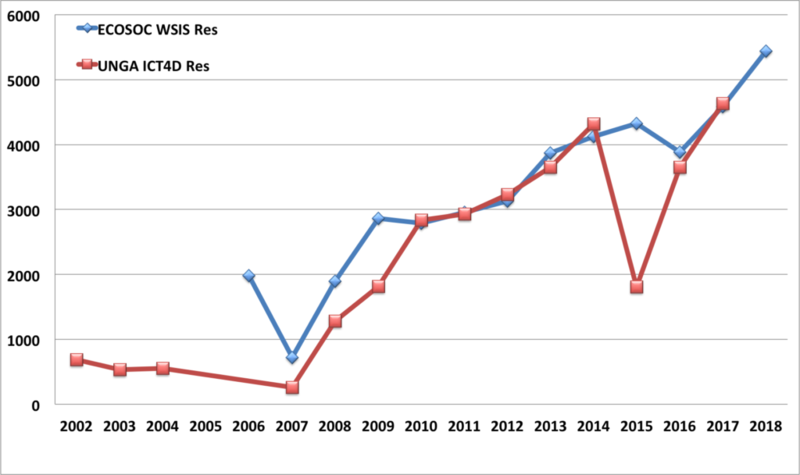 Is CWG-Internet terminally ill or temporarily comatose? The fourth meeting of the ITU Council Working Group on International Internet-related Public Policy Issues (CWG-Internet), held 3-4 March 2014, was a bit of an anticlimax after the very spirited five-day CSTD Working Group on Enhanced Cooperation (WGEC) meeting held the previous week. It seemed that everyone had lost the will to discuss the Internet. 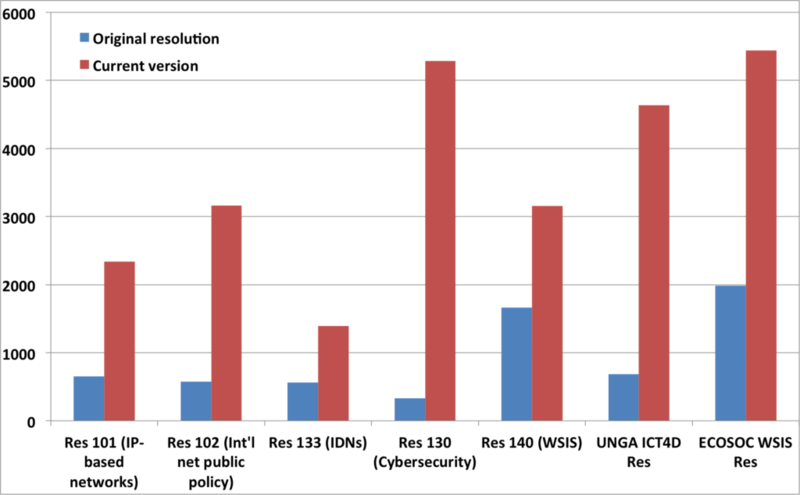 Even the Member States keen for a new intergovernmental Internet policy mechanism seemed off their game. 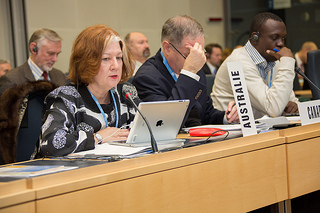 This was the final CWG-Internet meeting before the ITU 2014 Plenipotentiary Conference (PP-14) begins in October. PP-14 will decide the future programs and activities for the Union for the years 2015 to 2018. This includes the future direction of the CWG-Internet. Yet there wasn’t a single contribution to this CWG-Internet meeting proposing how the CWG could or should continue its work after 2014. Of course, the CWG itself can’t decide its work program, but it could have made suggestions on what the group members think is needed and included those suggestions in the CWG-Internet Chair’s report for consideration at the ITU Council meeting in May, and subsequently at PP-14 in October. Instead, the CWG kind of just… floundered…. for its first day, then finished its second day well before noon, having spent the morning finalizing the contents of the 1300 word Chair’s report of the first day. One of the more colourful Member State representatives—from a Member State that hadn’t submitted any contributions for the meeting—expressed frustration about the lack of progress the CWG seemed to be making. Others also said that there needed to be discussion about the way forward for the CWG. But the fact is that not a single one of these States had taken the time to contribute anything formal to the CWG on possible future directions for the group. It was all rather odd. Were the frustrated Member States hoping that someone else would do the heavy lifting for them? Was the concerned posturing during the meeting a half-hearted practice run for Internet-related negotiations at the main event, PP-14? Or has CWG-Internet been sidelined by other events and proposals in the Internet governance sphere, including the much-hyped NETmundial in April? 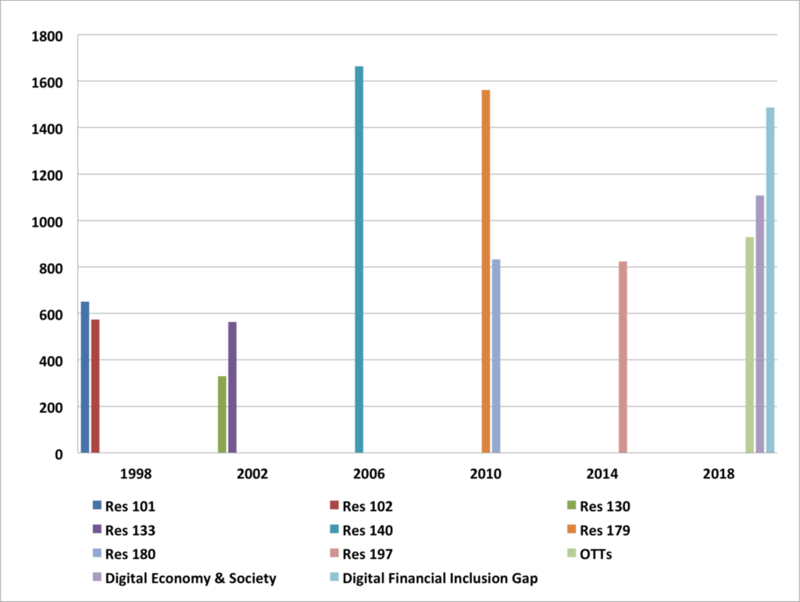 Is it simply Internet governance fatigue? Have Member States who’ve been wanting an alternative to the current Internet governance ecosystem, and been forum shopping amongst a growing number of UN bodies, finally reached the same stage of discussion fatigue that those of us who follow the existing Internet ecosystem discussions and the increasing number of UN body discussions have long felt? 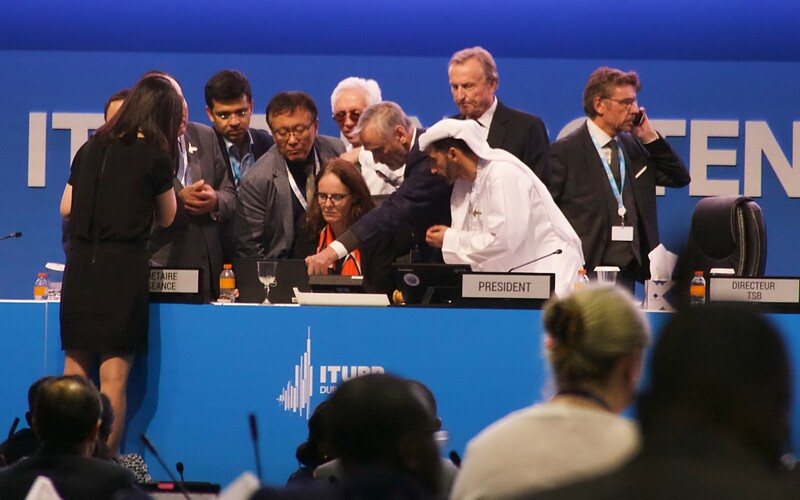 Are there just far too many big ITU meetings this year and it’s proving difficult to devote time and energy to them all? Frankly, I suspect it’s a bit of all of these things. I guess we have to wait until the next CWG-Internet meeting-if PP-14 resolves to continue the group-to find out whether CWG can wake from its current slumber. One Member State suggested that the CWG-Internet should not duplicate work already being done in other groups. 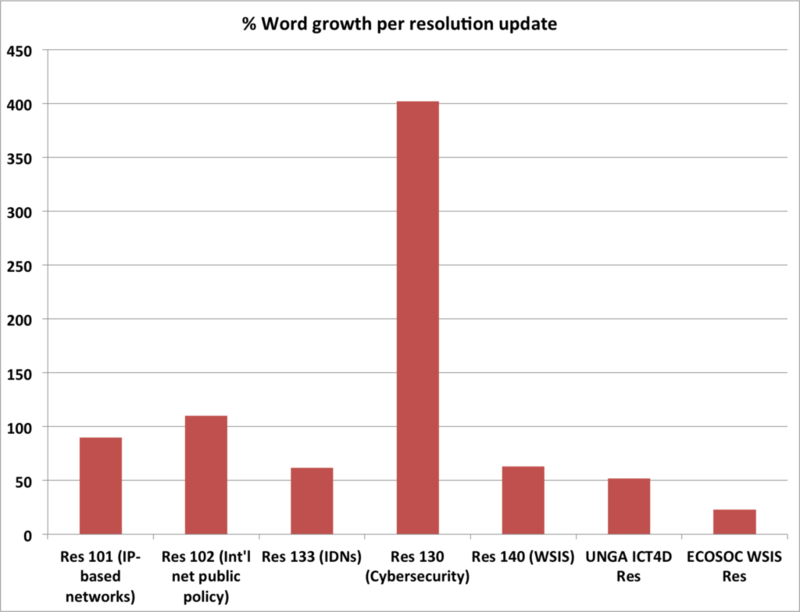 One of the Member States said that the CWG’s mandate was to focus on international policy (not national Internet policy, which had been the focus of the questionnaire to governments), and the CWG needed to focus on how to address the gaps and weaknesses in international Internet-related public policy so Internet growth could be encouraged. One Member State stated that the CWG-Internet had done its open consultations and it was now time to move on and begin its development phase. The Chair echoed this, stating that open consultation with stakeholders would be an important part of the CWG’s work, but that the group needed to be able to produce structured outcomes from which others can benefit. 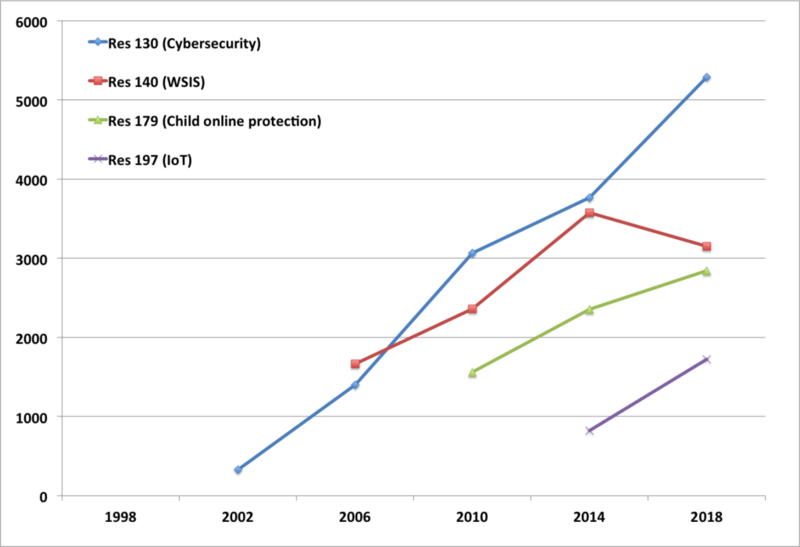 Another Member State noted that CWG-Internet wasn’t the only group discussing Internet-related public policy issues, but that there is currently no formal relationship that defines how all these groups interact and work on similar or complementary issues. The Member State hadn’t formulated a solution to this lack of clarity but believed something needed to be done if the CWG-Internet was to achieve its objectives. One Member State suggested that the CWG-Internet should beginning looking at the role of governments and the role of other stakeholders in Internet governance. (I should note that I am alarmed by the possibility of a group of governmental folk in a closed environment discussing the roles of non-government stakeholders… and possibly assigning those stakeholders roles in their absence, much like a rerun of the Tunis Agenda definition of stakeholder roles). The Chair wrapped up these discussions by encouraging Member States to submit proposals on the way forward for CWG-Internet to both the ITU 2014 Council and PP-14. There were very few representatives from the Member States that would very much benefit from experience sharing with other States on how to help support Internet development within their borders. In particular, there were only one or two Member States from the African region, and apart from India, none of the developing States from the Asia Pacific region. Latin American and the Caribbean was also poorly represented (Paraguay was present). Instead, the meeting was limited to active participation by Saudi Arabia and Bahrain from the Middle East, Japan, India, Iran and Australia from the Asia Pacific, the USA and Canada from North America and Sweden, UK, Russia, Germany, Poland and Bulgaria from Europe. In other words, the usual suspects, with the usual positions, said the usual things to each other in yet another venue discussing Internet issues. Is the lack of participation by others a sign of the lack of relevance of the CWG-Internet to their real world needs? Or is the lack of participation a sign of resource constraints preventing developing countries from attending the meeting? ITU does provide fellowships for developing countries, so if non-Geneva based delegates wished to attend, there were some funds available to cover travel costs. This, of course, doesn’t address the issue of limited human resource capacities, and some Member States simply can’t afford to lose a valuable member of their department while they spend a couple of weeks sitting in meetings in Geneva unless they’re certain something of value will come of it. I suspect that lack of relevance played a big part in the lack of participation at this meeting, as the CWG-Internet took place in the same room as earlier CWG meetings, and there were around twice the number of country flags in the room as there were countries represented at the CWG-Internet. Clearly, a lot of the countries felt there wasn’t any need to stay on for the CWG-Internet discussions. It was also clear that a number of people in the room had very little real understanding of the Internet and ICTs. Many of the same people who attend CWG-Internet meetings are the exact same people who’ve been attending ITU meetings since before the days of the Internet. They’re radio folk, satellite folk, telephone folk, or diplomats from missions in Geneva with a wide portfolio of issues to cover, of which the Internet is just one of many competing for their attention. I understand the need to have experienced diplomats and veterans of the ITU discussing Internet-related issues in intergovernmental spheres, but I also think it would help discussions substantially if those diplomats could bring with them an advisor who understands Internet issues at a level deeper than “I can use the Google”. My next post, A summary of a very quiet 4th CWG-Internet meeting, reports on the rest of the fourth CWG-Internet meeting, including a summary of ITU Secretary-General Touré’s opening speech, discussion on the 37 contributions to the CWG-Internet questionnaire to governments, and wrangling over the second CWG-Internet public consultation. The third meeting of the ITU Council Working Group on international Internet-related public policy (CWG-Internet, also known as CWG IIRPP) is currently underway in Geneva. Below is a brief report of Day 2. A brief report of Day 1 is also available. I will provide detailed analysis of the overall meeting in a few days. Note: I attended the third CWG-Internet meeting as a member of the Australian delegation; however, any of the views I express in this blog post are entirely my own. This post does not reflect the official Australian position, nor is its content endorsed in any way by the Australian government. Day 1 had ended with agreement to request all Member States—not just CWG participants—to provide their views on the appropriate roles and actions of governments within the sphere of international public policy issues related to the Internet. Day 2 began, therefore, with an informal drafting group, chaired by Russia, to develop consensus text for the two questions CWG-Internet would send to all Member States. Governments will have until 31 January 2014 to complete the questionnaire, with earlier submissions highly recommended. The 31 January deadline will give the ITU Secretariat time to compile all of the responses into a single document for CWG-Internet participants to review before the next CWG meeting, 4-5 March 2014. There was divided opinion amongst CWG-Internet participants whether it was appropriate or not to make the consultation open to non-government stakeholders as well as government stakeholders. Those supporting an open consultation on the role of governments stated that it was that it is part of the CWG’s mandate to conduct open consultations and that having the input of non-government stakeholders would enrich the discussion. Those who did not support having a consultation considered that the primary focus should be on first receiving government input, and then, if required, having other stakeholders comment on government input at some point in the future. 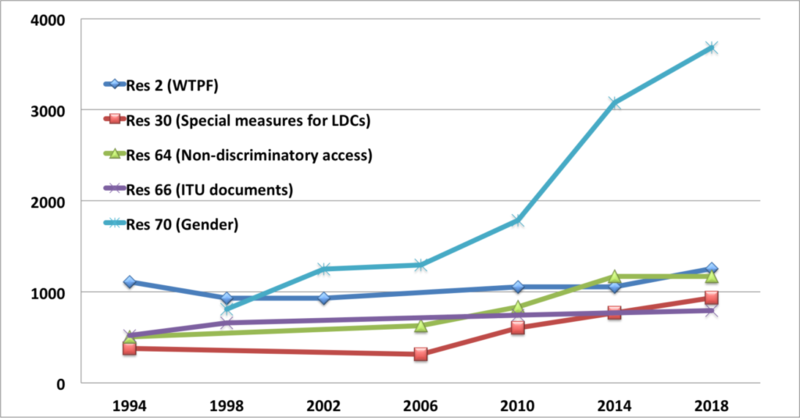 Those supporting an open consultation in parallel with the governments-only consultation pointed out there was only one more meeting of the CWG before the ITU Plenipotentiary conference in October 2014, and that it was important for non-stakeholder contributions on the topic of the role of governments to be considered before Plenipotentiary. Those who did not support a parallel open consultation stated that the question on the role and actions of governments had been developed specifically with governments in mind as the recipient of the question, and that the question would not work for other stakeholders. In addition, there was no time left in the current CWG meeting to develop appropriate questions for other stakeholders, so by necessity, the possibility of a non-government stakeholder open consultation would need to be deferred to the fourth meeting in March 2014. Informal consultations over the lunch break on Day 2, followed by more formal discussions during the drafting of the Chair’s report of the meeting, resulted in agreement that an open consultation would be conducted on the issue of the role of governments immediately following the fourth CWG meeting in March 2014. Initially, it had been suggested that the open consultation only be open for one month, so public contributions could be collated and included in the CWG-Internet Chair’s report to ITU Council. However, it was pointed out that March and April 2014 are very busy times for everyone in the Internet governance community and that one month would not be a practical timeframe. 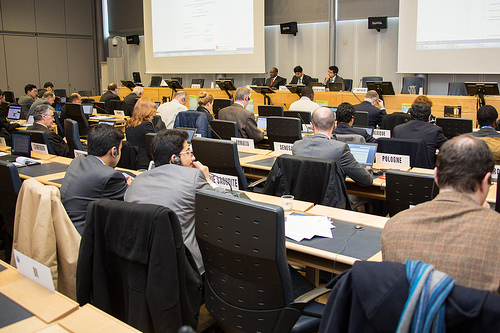 The Chair then suggested encouraging stakeholders to submit within one month, so contributions could be reported in an interim state to the ITU Council meeting, but that the formal deadline could be extended by a few months, with the final collation of public contributions submitted as part of the CWG Chair’s report to the ITU Plenipotentiary. Three minutes of the meeting were used to discuss the 32 contributions. The discussion consisted of the Chair encouraging Member States to consider the contributions when developing their own contributions to the Member States-only questionnaire on the role of governments in international Internet-public policy issues. When the Chair opened the floor for interventions on the 32 contributions, one Member State highlighted the contribution by Mawaki Chango (on behalf of the Association for Progressive Communications). Saudi Arabia’s Contribution WG-Internet 3/8 (available to Member States only) encouraged all Member States to consider the three issues on which open consultations were conducted, to “[take] into account the responses to the open consultation as appropriate”, and to prepare further contributions on the issues for the next CWG-Internet meeting. The CWG-Internet participants agreed to develop a repository of best practices and experiences in government’s role in Internet public policy issues that would be available to Member States via the CWG-Internet website. The repository will be kick started with contributions by three Member States have already submitted such informational documents to the CWG at the current and previous CWG meetings.